Golden Nugget Laughlin is a hotel and casino located on the banks of the Colorado River in Laughlin, Nevada. It is owned and operated by Landry's, Inc. It offers several food & beverage venues, a hotel with 300 guest rooms and suites, an outdoor pool overlooking the Colorado River and live entertainment every Friday and Saturday night. The casino features 18 gaming tables including Three Card Poker, Blackjack, Craps, Fortune Pai Gow, and Roulette. There are 800 reel, video, progressive slot machines, video poker games and a Race and Sportsbook. Restaurants at the Golden Nugget include Bubba Gump Shrimp Company, Claim Jumper, Saltgrass Steak House and Starbucks. 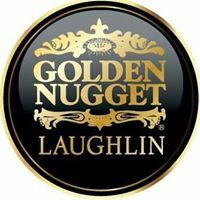 To visit Golden Nugget Laughlin's featured jobs on Casino Careers please click here.